Walking Awake offers memorable pilgrimages to a variety of sacred places led by Denise Crawn and Nick Prance. Be sure to check this page often, as we are always adding new ones! Walking Awake, LLC™ will work with your group to customize a trip just for you! Looking to book an exclusive pilgrimage for just you and your friends? Walking Awake, LLC™ will be glad to organize a pilgrimage for your group. For more information please contact Denise. 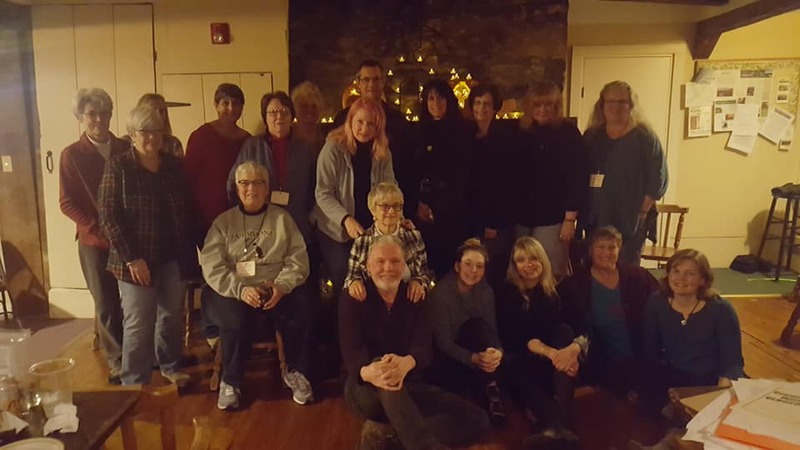 Exploring our Celtic Connections April 24th - May 4th, 2020 led by Denise Crawn and Nick Prance of Walking Awake, LLC along with Jean Richardson of Kirkridge Retreat and Study Center, PA, USA. 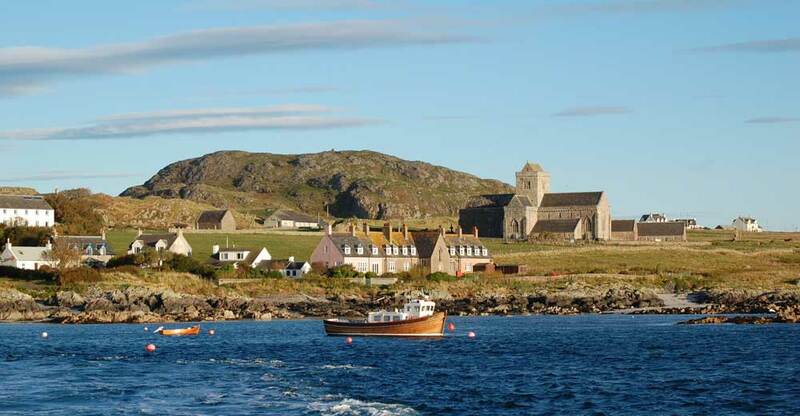 5 days/6 nights on the beautiful Isle of Iona (know both as the cradle of Christianity and the Isle of Druids). 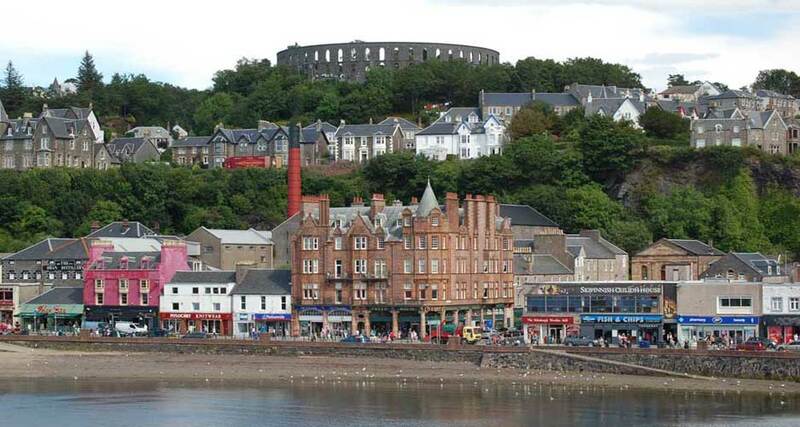 2 nights in the scenic town of Oban (often referred to as the gateway to the Isles). 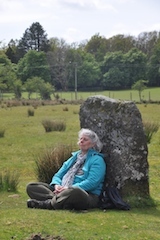 A day walking amongst the ancestors as we visit the standing stones, stone circles and ancient sites of the Kilmartin Valley. 2 nights in the vibrant city of Glasgow. A day exploring the historical, yet contemporary city of Edinburgh including a visit to Edinburgh Castle. 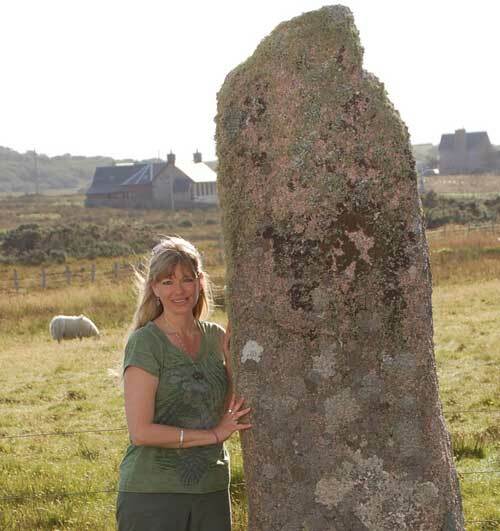 A WOMEN'S Pilgrimage to Kilmartin, Mull and Iona, Scotland! Click here to view photos of Iona, Mull, and Kilmartin. This incredible soul-enriching journey is designed to help you reawaken your own innate wisdom amongst the beauty of the Celtic Lands. It will take place amongst standing stones, ancient sites and magical places in the Kilmartin Valley, the Isle of Mull and the Isle of Iona, Scotland. 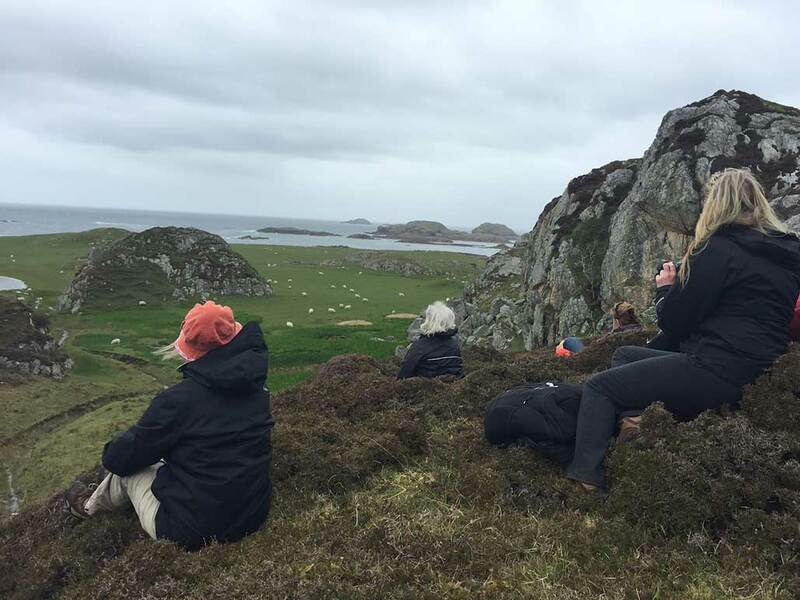 Led by Denise Prance, the focus of this women's pilgrimage will be on reconnecting to your sovereignty as we work with nature and the ancient energies of the sacred lands of Scotland. Together we will reclaim our power along with our sense of wonder and adventure! This Women’s Pilgrimage will include a mix of traditions old and new; story, song, poetry, ceremonies, rituals and “Walking Awake” in and with Nature blended beautifully with the history and mysteries of these magical places. After a prearranged group pick-up in Glasgow, our journey will begin as we wend our way through the highlands and islands to the Kilmartin Valley. 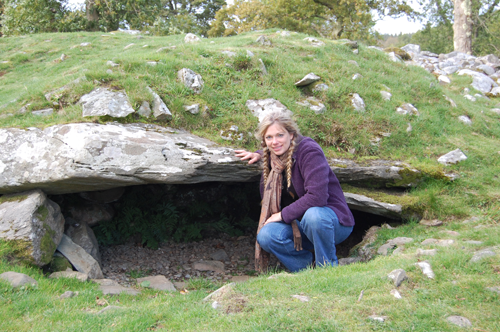 There we will spend the day amongst its burial chambers and standing stones. Later that evening we will make our way to Oban, Scotland's Sea Food Capital, where we will settle into our beautiful B&B and gather for our Welcome Dinner at an atmospheric (and delicious!) restaurant by the waterside. The next morning we will board a ferry and continue our scenic trek by mini van across the Isle of Mull making our way to our final ferry connection to the Isle of Iona where we will begin our 7 night stay. On Iona, our base will be a charming self-catering cottage stocked with all you need for breakfasts and packed lunches throughout the week. Our Iona 'home away from home' boasts incredible sea views and is within walking distance of the village, Iona Abbey, restaurants and shops. 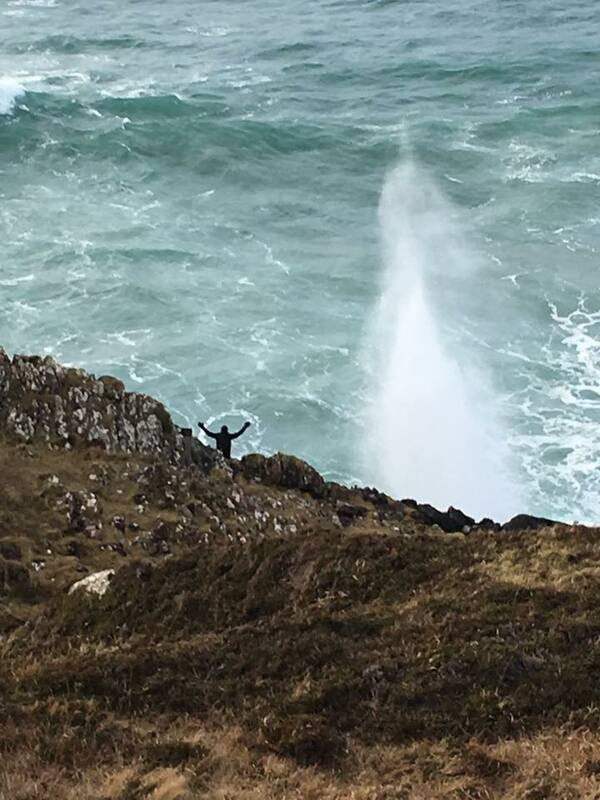 During our week on Iona you will be have the option of participating in guided tours and walks, and two different day trips off the island (weather permitting) where you can opt to visit the majestic Isle of Staffa and Fingal's Cave (and maybe spot a puffin or two!) and/or return to Mull to explore a castle and visit a very special ancient tree grove and circle of standing stones. 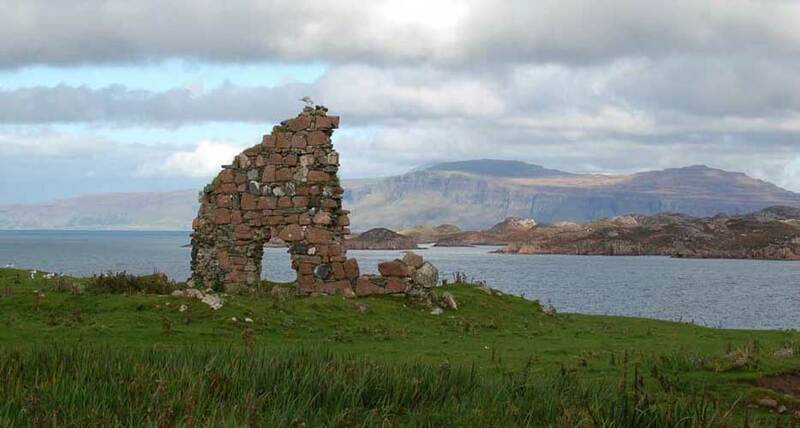 While on Iona one of the guided tours offered will include the Nunnery, Oran's Chapel and the Iona Abbey. Throughout the week you will be also given the opportunity to partake in guided walks to the following sacred sites: Dun-I and Brighid’s Well (aka: The Well of Eternal Youth), Columba’s Bay and Iona’s Labyrinth, St. Martin’s Cave, a magical place only accessible during low tide, and the Hermit's Cell. (Additional guided walks to other island sites are available upon request). There will also be plenty of unprogrammed time for quiet reflection, individual exploration and personal integration. This 9 day, 8 night pilgrimage consists of one night’s stay in a beautiful B&B in Oban and 7 nights in a cozy self catering cottage on Iona. (Walk out the front door of the cottage and you are within yards of the peaceful shoreline of the Sound of Iona where dolphins, seals and sea otters are often spotted!) All rooms are shared and reservations are limited to 7 for this trip. Meals included: Two dinners (One on the first evening we arrive in Oban, the other will be our closing evening on Iona) each with a maximum value of $45.00/35 GBP pp (does not include alcohol). Also, the cottage on Iona will be stocked with food for attendees to make their own breakfasts and packed lunches. All other meals are the responsibility of the attendee. Mini Bus (transport, driver and petrol), Guide Fee, Staffa Boat fee, Iona Abbey and Museum admission, Duart Castle admission. *Please Note: While this is a women only pilgrimage, our driver will be a man, Denise's husband, Nick Prance. Having a mini bus and someone with his familiarity of the Isles will enable us to experience sites otherwise inaccessible via public transportation. Having lived on Iona for three years, he holds great knowledge of the history of the island and its stories. Nick will lodge separately and not be part of the leadership of this event however, he will be available throughout the week should the group or individuals opt for guided walks and tours during open spaces in our itinerary. COST: $2000.00 with a $500.00 non-refundable deposit. *This trip is limited to 7 people. *Note: If you wish to arrive in Scotland prior to Pilgrimage or stay afterwards, Walking Awake can provide you with some possible booking options. NEW! BESPOKE (Customized) UK and Ireland Journeys! Walking Awake is now offering bespoke (customized specifically for you!) journeys to sites in the UK and Ireland. If you can imagine it, we can create it for you! 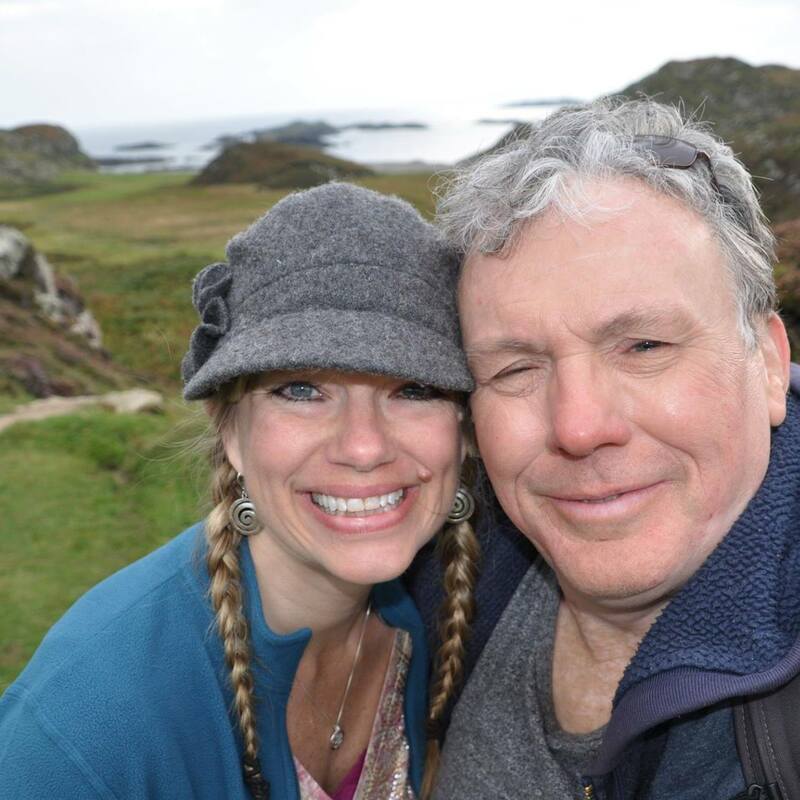 Here's how it works: You tell us where you'd like to go and what you'd like to see in Scotland, England, Wales, or Ireland, let us know what your budget is and we will work with you to customize your dream journey. The possiblities are endless! 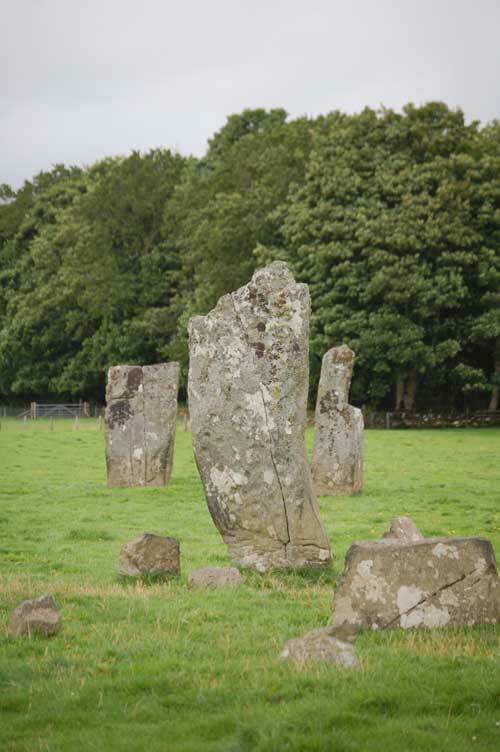 Whether you are called to see castles, standing stones, hill forts, ancient abbeys, churches and chapels, remote isles, tucked away villages, cities, museums, pubs, enjoy birding, distillery tours, hiking, or seaside walks, would like to add in aspects of ritual or poetry, Celtic hstory, myth, story or anything in between, we can design the perfect journey for you or your group! After discussing your vision with you and upon receiving your deposits we will book everything needed for when you arrive: accomodations, site reservations, dinner reservations and more. All you have to do is arrange and book your flights to and from the UK/Ireland. (We can advise) When you arrive we will drive you and guide you on your customized adventure. *Check out our journeys listed on this page for a few ideas but don't let your imagination end there, again, the possibilities are endless! Whether its a once-in-a-lifetime journey for an individual or couple, a family gathering, group retreat or pilgrimage we look forward to working with you to co-create your journey filled with memories to treasure for years to come. Prices will vary according to the amount of people, locations, types of accomodation, etc. You share your vision with us and we will work with you to do all that we can to make it happen. Let's begin your dream journey with a conversation today! An exciting trip that will include th Isle of Skye, the remarkable Callanish standing stones on the Isle of Lewis in the Outer Hebrides, and the many mysterious and ancient sites in the Orkney Islands. A trip with more travel but a true encounter with the wild edges and remote places of Scotland! A little more detail to help you decide! This will be a small group trip that will begin in Glasgow, from here we will travel together by mini bus along the beautiful shores of Loch Lomond before crossing Rannoch Moor and passing through the imposing and dramatic Glencoe. After pausing for photos and refreshment we will continue northwards taking in the ever changing scenery before eventually using the bridge to cross onto the magnificent Isle of Skye. If we have time on our way we will have a brief diversion to visit one of the remarkably intact Iron Age Brochs. We will then spend two nights on the Isle of Skye which will give us a full day to visit the main town of Portree and to see some of this special island including the magnificent Cuillen Mountains, some of the most precipitous in Scotland. (We will save climbing them for another trip!) After our time on Skye we will catch the first of four ferries which will take us from Uig in the north of the Island across to Tarbet, on the Island of Harris, part of the Outer Hebrides group. Harris has a rugged and sparse beauty and some of the most stunning beaches you will see anywhere in the world. We will spend two nights in the Outer Hebrides traveling overland to the Isle of Lewis where we will allow plenty of time to take in the mystery and majesty of the standing stones at Callanish, a visit that will stay with your imagination long after we have left. Following a night in Stornaway on Lewis we will catch another ferry across to Ullapool in Ross-shire, heading ever further north. The roads become narrower, the people less frequent, and the mountains aquire a truly unearthly appearance. Our journey will take us to the most northerly point on mainland Britain, where we will rest, perhaps have a dram or two, and also visit the dramatic Smoo Cave at Durness. From here we will head east in order to catch a ferry from Scrabster to Stromness in the Orkney Islands. Here there are a remarkable number of ancient sites to visit, but we will be sure to include the incredibly well preserved Skara Brae, a stone built Neolithic settlement. After two nights in the Orkneys we will return to the mainland and begin our journey back to Glasgow, passing through Inverness and along the shores of the famous Loch Ness. Although there is a good deal of travel involved in this trip, this will be part of our adventure together and will connect you with the deep history and the wild and rugged beauty of this remarkable country, an experience you will hear in "the deep hearts core" for years to come.